Sold in July 2016 for $1,190,000. 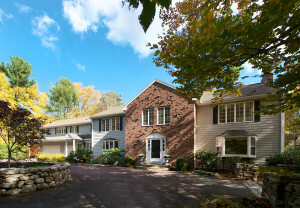 See homes currently on the market in Hamilton and Wenham, MA. 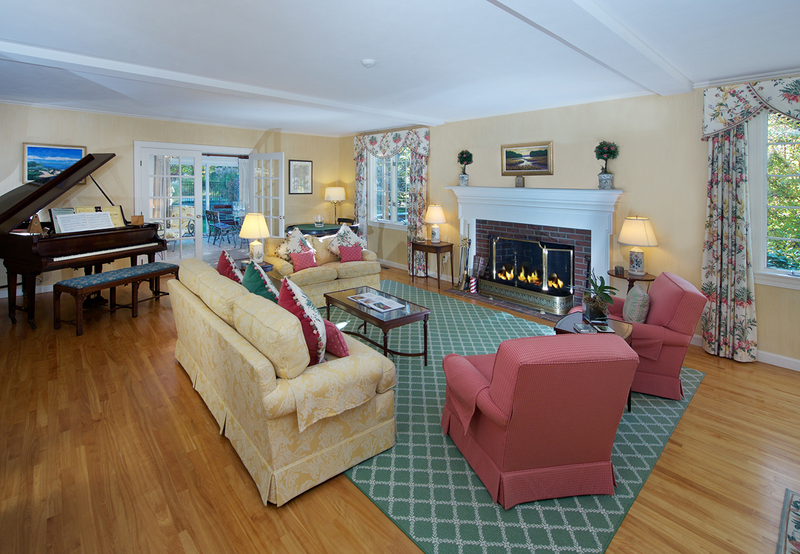 Fabulously planned and situated home on 3.83 acres in a private estate setting. 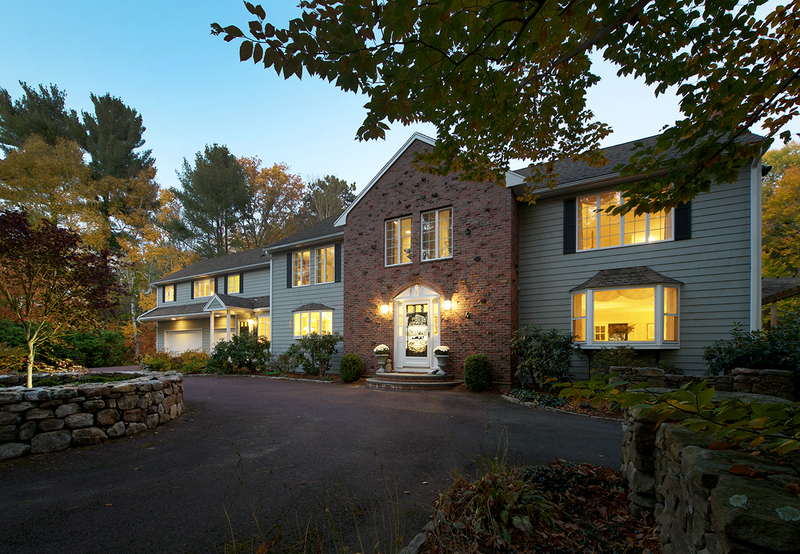 Upon arriving to this home from the circular drive you know that care was taken to blend the home well with easy landscaping that has a natural style. 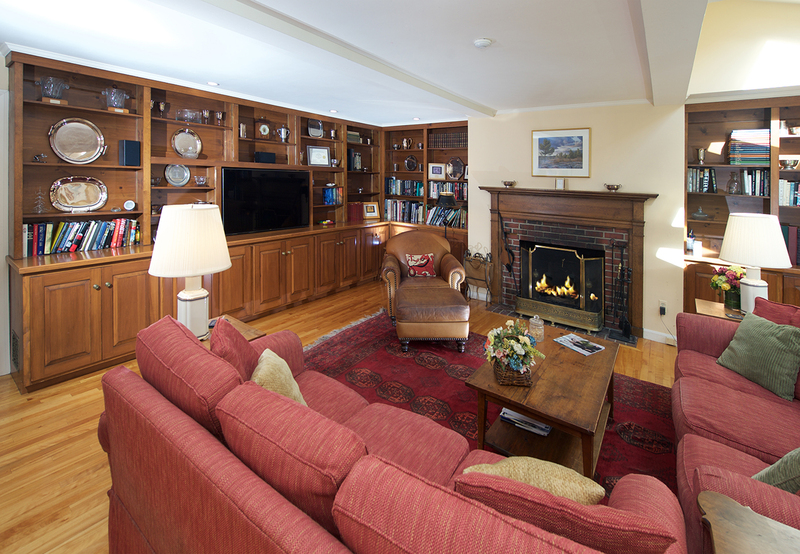 This is a home that feels comfortable for every day living as well as fabulous entertaining year round. 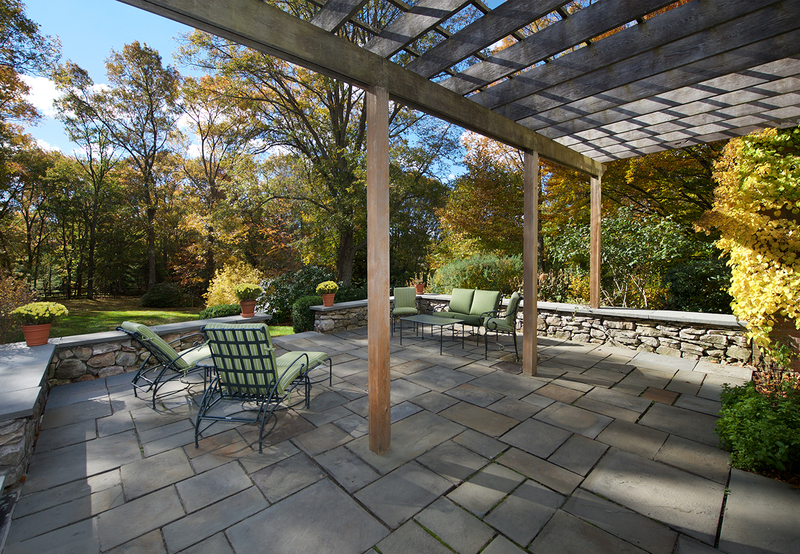 There is flexibility with the space for more activities than you can imagine. There are twelve rooms, five plus bedrooms, four full and two half bathrooms. Many expected features like central air conditioning are included. This house truly has it all. 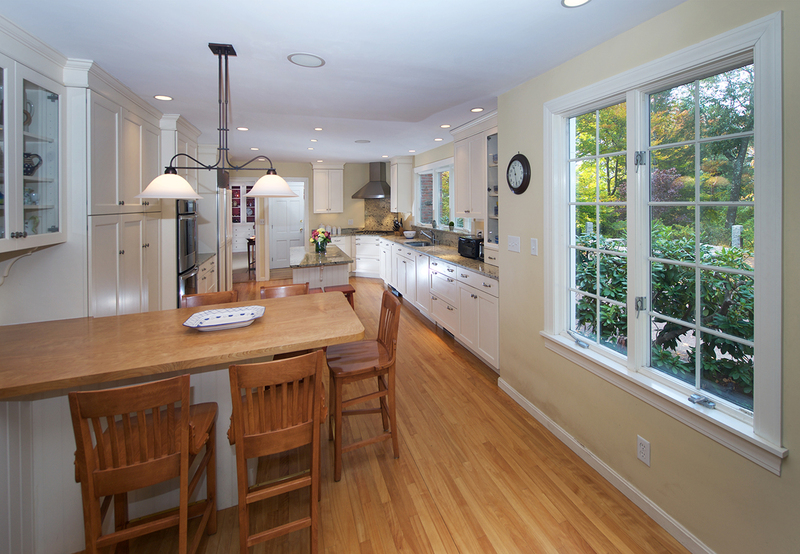 The stylish comfortable and polished kitchen was renovated with great detail, offering ample space and many desirable details. 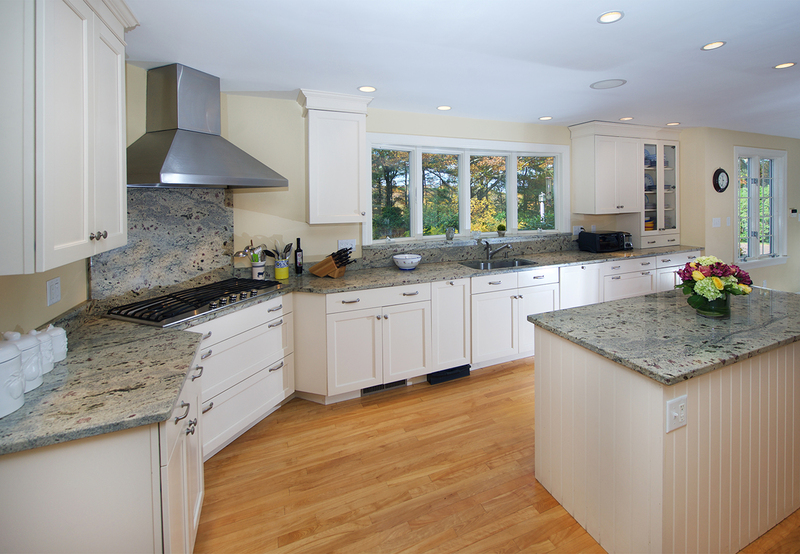 The cabinetry and careful choice of granite are noteworthy. This is the hub of the household with the family room, formal dining, mud room, garage and exterior access conveniently located adjacent. 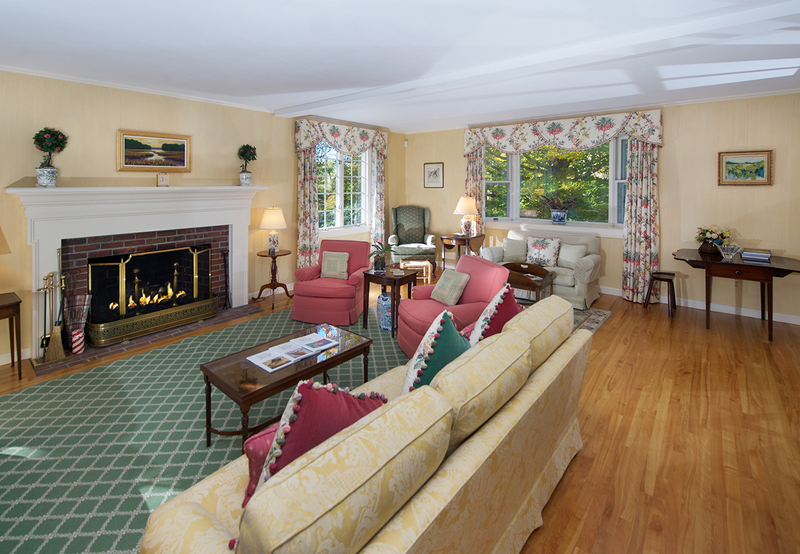 The family room features hardwood floors, substantial built-in cabinetry, a wood burning fireplace and double sets of sliding glass doors. 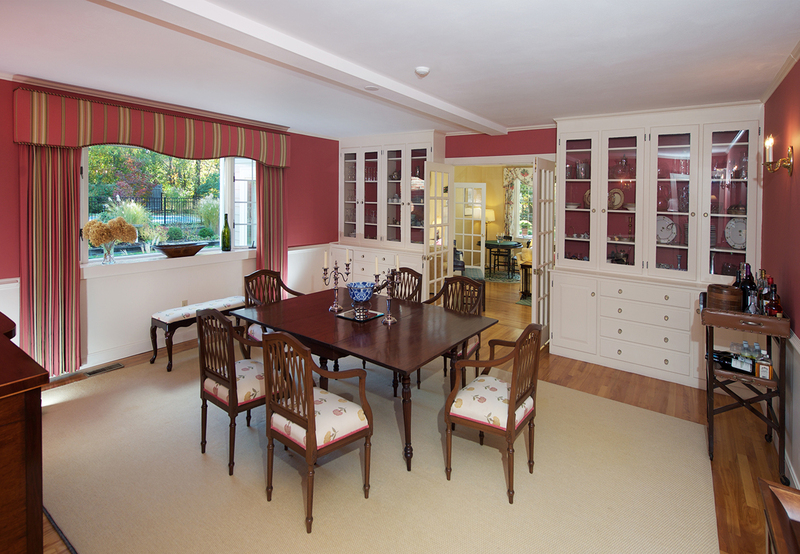 The grand dining room grabs attention with it’s square shape, spacious feel and extraordinary built-in cabinetry that have glass doors along the far wall and French doors that open to the living room. 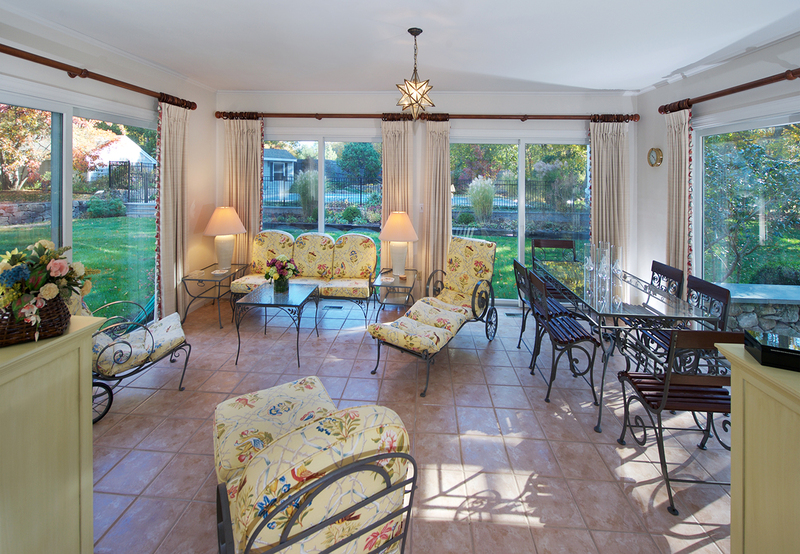 The tiled sun room with another set of French doors off the living room, leads out to the beautiful patio. There is also an in-ground pool. 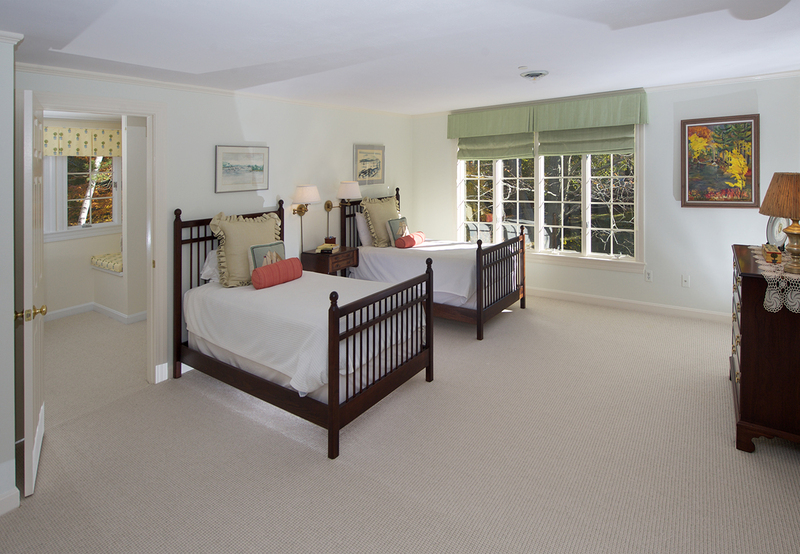 The Master suite is over sized with two separate dressing areas and custom built-ins. 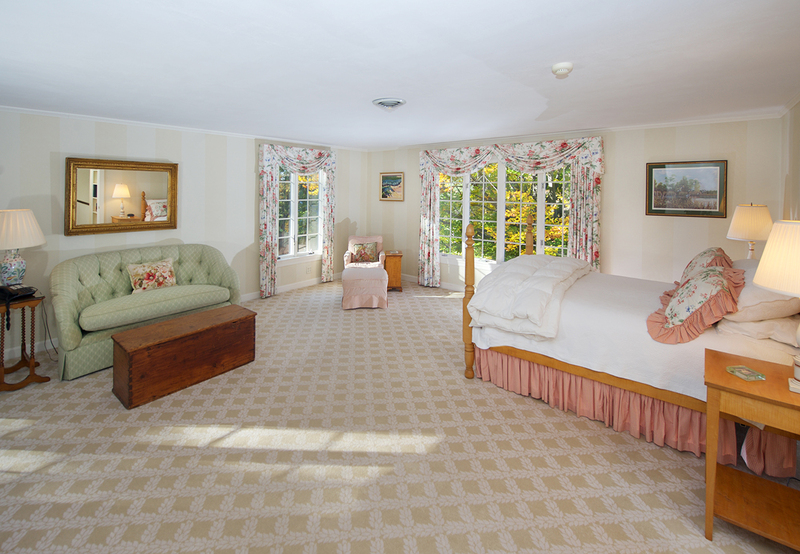 Additional bedrooms have “Jack & Jill” baths. 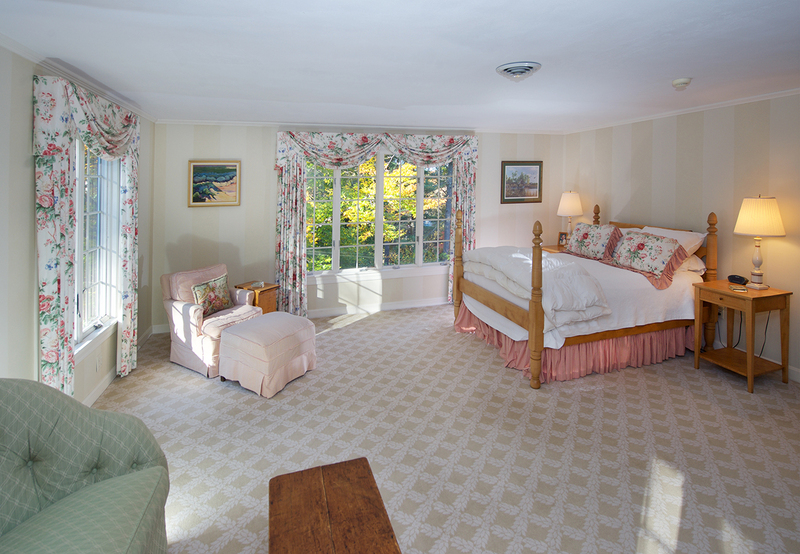 One of the bedrooms is quite large and has access to two of the bathrooms. 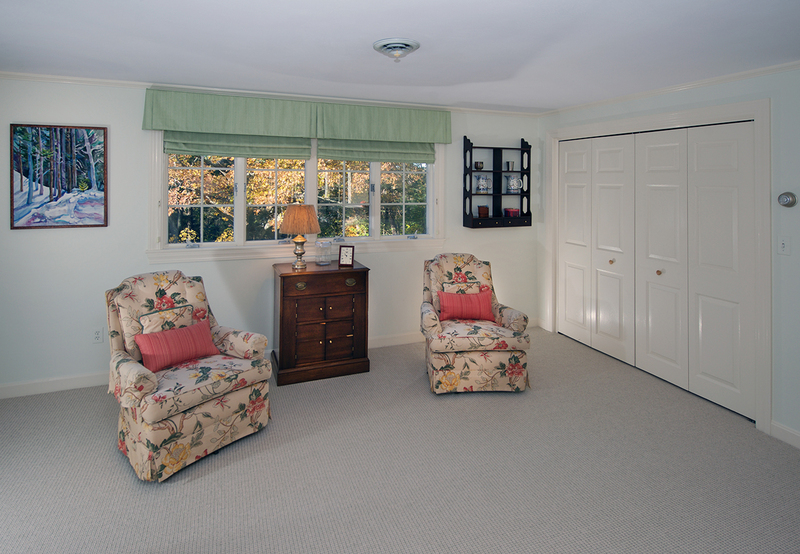 This room has the possibility of being used as an upstairs family room. There are many options for different types of office space throughout the property as well. What ever type of space you need you can most likely arrange. 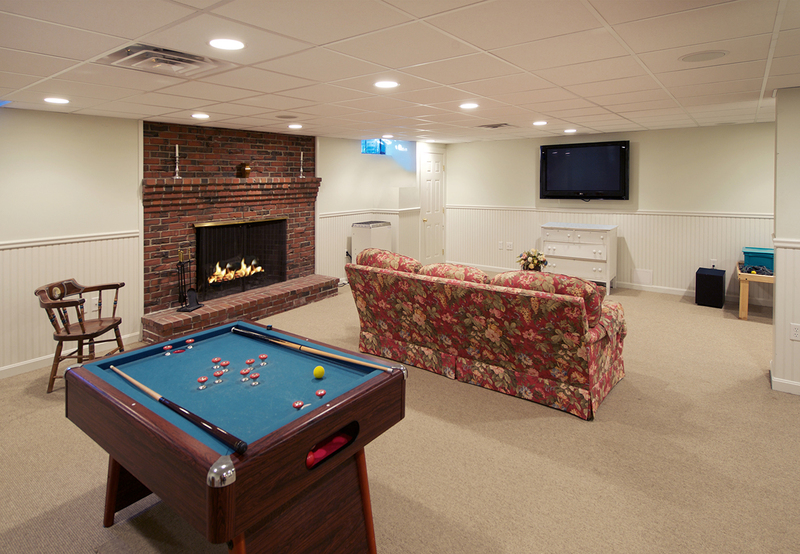 There is an incredible finished basement with additional wood burning fireplace, high ceilings, seating area, a separate game room or exercise space and a half bath. Located in a fabulous location in Hamilton and ideally positioned close to the downtown, highway, commuter rail and beaches. Also included, is a private guest house with it’s own address and attached garage. 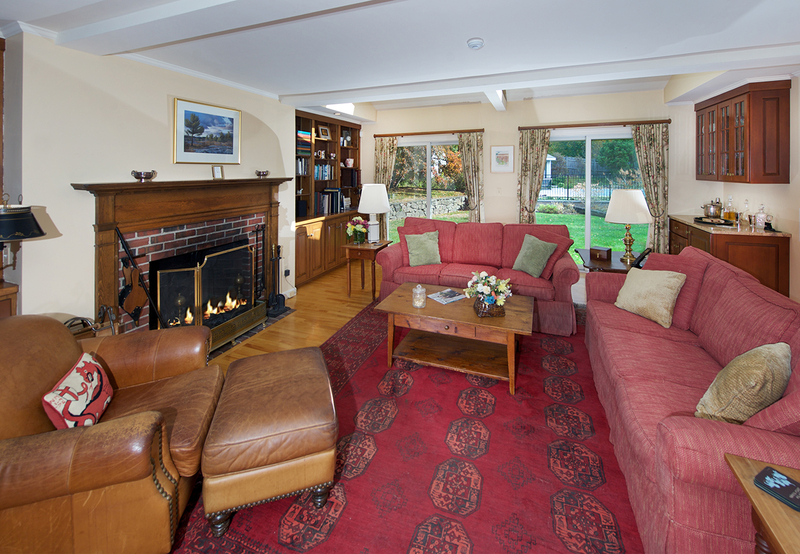 Great set up for an au pair, care-taker, extended family, or rent it out. 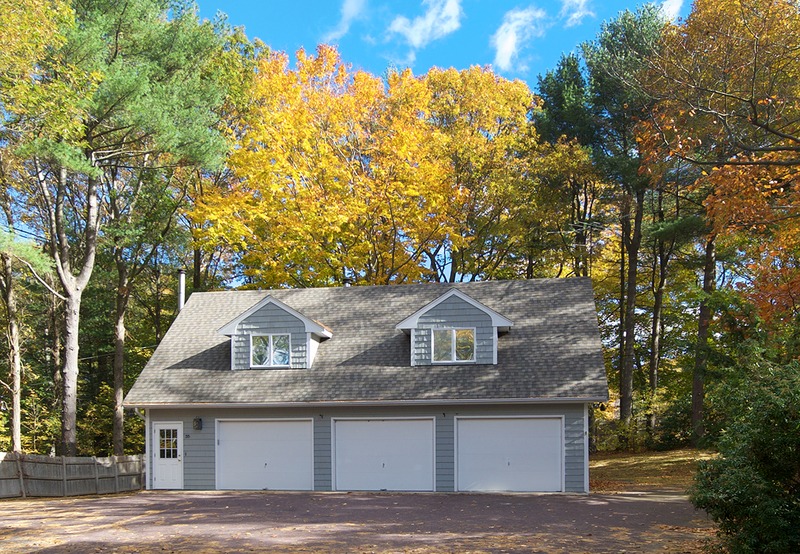 There is a separate multi-car garage that has many options as well. Both the guest house and multi car garage are set away from the house and have a separate driveway. 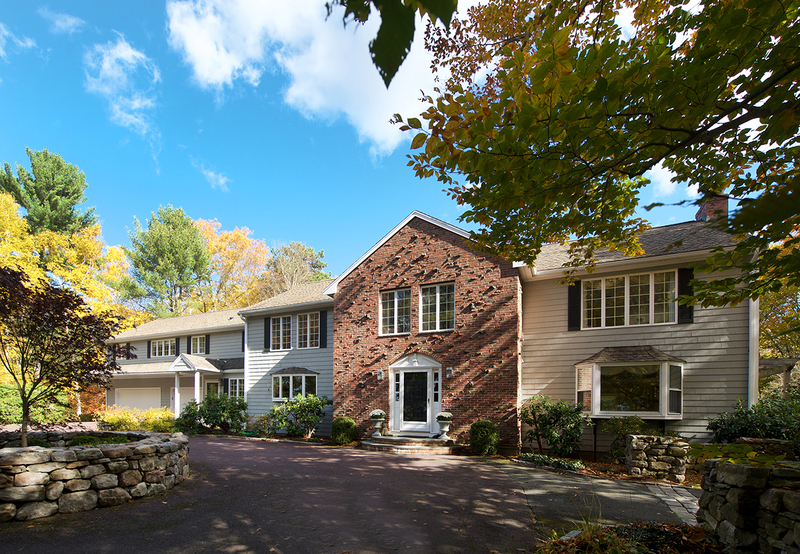 See the listing details for 33 Essex Street Hamilton, MA.